What IS adventure anyway? For some it is making the first ascent of a remote peak, or the first descent of a challenging new river. For others it is being a silent observer to the annual Serengeti migration, or cycling from one picturesque medieval village to the next in France’s Loire Valley. Like beauty, adventure tends to be in the eye of the beholder. When my girlfriend suggested a short cruise over Thanksgiving, she really had to talk me into it, “it’s so relaxing…”. OK, in reality, she really didn’t have to say too much to convince me to take a few days off work and try to kick back! So on the Sunday before Thanksgiving I flew from San Jose to Miami with my girlfriend Regina, my 16 year old daughter and her friend. 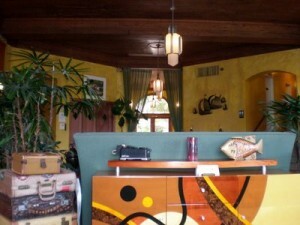 Once there, we checked into the Indian Creek Hotel, a small, art deco inspired (but still affordable!) boutique hotel just a block from the beach in Miami Beach. The next morning we had strong Cuban coffee at breakfast, explored the boardwalk and beach, and caught a cab to board the Carnival Imagination in the Port of Miami. If, like me, you have never been on a cruise ship. just let me say this: they are huge, they are glitzy. But you know what? They are fun, and I really got to relax for a few days. 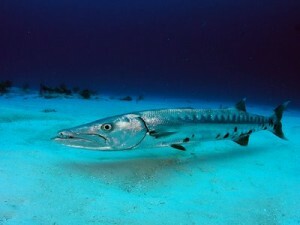 In fact, as we sailed out of Miami headed for Key West and Cozumel, I could feel my stress diminishing at about the same rate as the land was shrinking in our wake. Of course, the fact that my cell phone and laptop were turned off helped me chill out and relax! 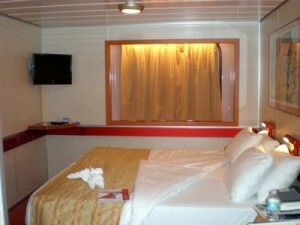 Carnival Imagination - nice cabin! I had always shied away from cruises because, being an active person, I assumed I would get bored being cooped up on a ship, and also because it seemed like you had relatively little time ashore to be adventurous and to explore. Of course I now realize that a lot of the attraction is just the experience of being aboard a fun, floating hotel, and waking up in different destinations each day. Our first stop was Key West, the southernmost spot in the USA. It seemed like a very cool place to hang out (as Jimmy Buffet will attest…). White houses with louvered windows, wrap around porches and luscious tropical gardens lined the streets into town. Even downtown, vehicles appeared to max out at about 5 mph. Key West is definitely a pretty laid back place! 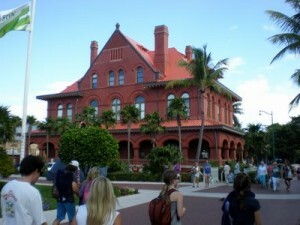 Regina took a 3 hour bike tour of Key West, crossing the island from one side to the other, and really enjoyed it. Meanwhile, the girls and I took a Catamaran trip to snorkel the reef, the highlight of which was spotting a 4 foot long giant barracuda cruising serenely past us as we snorkeled back towards the boat. 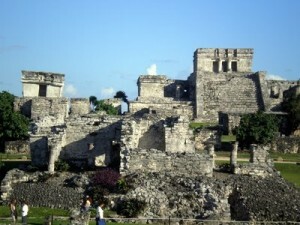 Our next stop was Cozumel, where we boarded a fast ferry to the mainland, and took a bus to the Mayan ruins at Tulum. Perched on a clifftop above the ocean, the ruins at Tulum are not as extensive as at Tikal or Chichen Itza, but the setting is spectacular. In addition, after a guided tour of the ruins, we were able to go for a quick dip in the warm Caribbean water. Back on board the cruise ship, we relaxed, ate, slept and were entertained by stand up comics, singers and dancers en route back to Miami. For a first cruising experience, Carnival’s 4 day Western Caribbean cruise was the perfect blend of relaxation, fun and even some exploration. Was it truly adventurous? Let’s just say that the relaxation quotient outweighed the adventure quotient, but the fun factor was high! 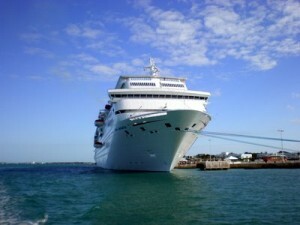 Would I take another cruise? Absolutely!